He lists a number of possibilities. People who like what they perceive to be the Pope’s initiatives (whether for better or worse) are “tempted to hear his voice as the voice of God.” It’s the all too common habit of projecting God onto human figures in order to boost their authority to divine status and quell any opposition to their views. After all, who can argue with God? If the Pope always speaks with the voice of the Holy Spirit, all his words are beyond question. Kalb says the Pope “himself sometimes seems to take some such view, as when he spoke of opposition to new departures connected to his stage-managed Synod on the Family as resistance to the Holy Spirit.” Kalb’s post is well written and addresses a number of important concepts and concerns. It’s worth a careful read. Perhaps the most obvious danger is found in people who, ignorant of the truth or deliberately opposed to it, read into the pope’s words their own personal agenda and, placing an exaggerated sense of authority in his office, push that agenda, whatever it may be, as if it is to be attributed to the directives of the Holy Spirit. In doing so, they often depart from the constant teaching of the Church in the name of “new discernments” and “pastoral approaches” that create a rupture in and/or corruption of doctrine. Given this tendency, which is nothing new, every pope needs to be highly conscious of accurately and precisely articulating the mind of the Church, especially in light of the rapid nature of media communications today. Although doctrines can and do develop in an authentic way, it is important for the faithful to recall that those doctrines on faith and morals of the Church that are definitively held and irreformable cannot be reversed, changed in a way that constitutes corruption, or set aside as if they are no longer applicable. The Church in her teaching communicates what is really true. Truth remains truth. Teaching on faith and morals cannot be true one day and untrue the next. Read more about the essential role of the Church in communicating the truth to all generations. But what authority and power does any pope have, really? 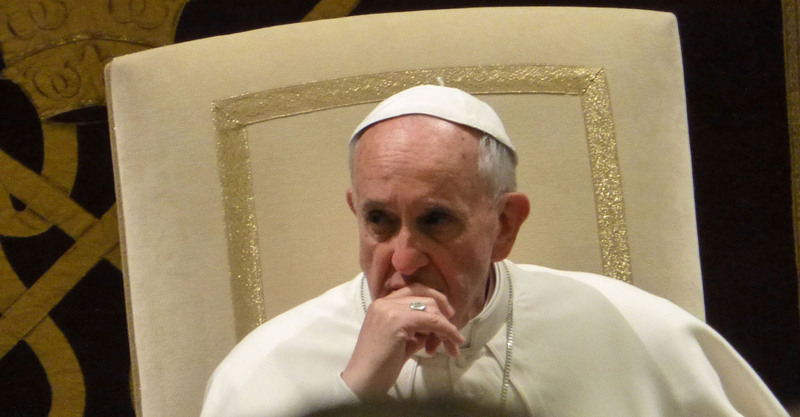 Does a pope always—or ever—speak with divine authority? Does he pass on to an eagerly listening audience whatever the Holy Spirit wants him to say and/or teach? When are his words infallible? Can his statements be irreformable? And, perhaps most relevant to the climate today, does the pope have the power to change doctrine in a way that reverses or corrupts it? Let’s take a brief look at the scope and limits of the popes’ authority. When we speak about the authority of the pope or the bishops, the term “magisterium” comes into play. Magisterium comes from the Latin magister, meaning “master,” as in the master of a household. Obviously, a master has some level of authority over others. Simply stated, the magisterium is the authoritative teaching and governing office of the Church. It consists of the college of bishops in union with the Roman pontiff. While the other two degrees of the hierarchy, priests and deacons, share in magisterial authority, the magisterium is constituted by the bishops of the Church (successors of the apostles) in union with the pope (the successor of St. Peter, the leader of the apostles). It is reasonable and in accord with human nature that the Church should have a visible, earthly leader with powers of governance in order for it to properly function. In human institutions and among nations, we find a person who sits at the helm, who is vested with secular authority to make decisions, govern and provide direction. As a leaderless institution is prone to misdirection, chaos and disintegration, a leaderless Church could not long maintain its integrity nor would it reflect the ordered structure Christ himself wisely instituted. Having said that, although the pope is the supreme leader of the Church and can exercise his authority without the consent of other members of the Church, his power and authority are limited in scope. He might say or do many things, but that does not mean all his deeds and words are vested with divine authority or carry the weight of infallibility. Much of the confusion about the pope’s level of authority revolves around the doctrine of papal infallibility, which finds its origin in sacred scripture and has developed in the life of the Church over the centuries. So, let’s begin there. What does it mean to say that the pope is infallible? The key here is to note that, for infallibility to apply, the pope must be speaking in his official capacity as the successor of Peter on a doctrine concerning faith or morals that is to be held by the entire Church. When the pope acts in this way, the doctrine he decrees is irreformable (Avery Dulles notes that irreformable means not subject to correction or rejection by any other authorities in the Church). An irreformable statement cannot be reversed but it can be reformulated and further refined. Vatican II’s teaching on papal infallibility is very similar and in continuity with Vatican I. As Vatican II notes, the pope is infallible when “by a definitive act he proclaims a doctrine of faith and morals” as binding on all the faithful of the universal Church. This means the pope must be acting officially, exercising his supreme authority Ex Cathedra (a Latin phrase meaning “from the chair” or “from the throne.” Note that Ex Cathedra is a metaphor indicating a formal application of the highest level of papal authority. The Pope does not literally sit on Peter’s throne) as the successor of Peter. By virtue of his office, the Supreme Pontiff possesses infallibility in teaching when as the supreme pastor and teacher of all the Christian faithful, who strengthens his brothers and sisters in the faith, he proclaims by definitive act that a doctrine of faith or morals is to be held. We find, then, three main criteria necessary for the application of papal infallibility: 1) the pope formally and intentionally speaks in his official capacity as supreme leader and successor of Peter; 2) his formal decree pertains to some aspect of faith or morals; 3) his formal decree is made binding on the entire Church. Two examples (the only examples in the history of the Church when popes formally defined dogma as matters of faith according to the standards of Vatican I and II) of an exercise of papal infallibility are the dogmas of the Immaculate Conception of Mary (Pius IX in 1854) and the Assumption of Mary (Pius XII in 1950). In making these types of definitive and dogmatic decrees, the Holy Spirit assists the pope so as to preserve him from error. Although the Immaculate Conception and the Assumption of Mary are the only two examples of formal, dogmatic pronouncements made by popes in recent times, that doesn’t mean the doctrinal teaching of popes throughout the extensive history of the Church is not considered to be free from error. The Church has always understood that popes are protected from error when teaching officially on faith or morals. It’s important to note that, while the pope certainly can issue a formal decree on matters of faith or morals on his own authority, it’s normally the case that he consults other bishops and theologians. It’s also important to note that papal infallibility works to decree, promote and guard what the Church holds as the deposit of faith. In other words, the pope does not have the power to invent new dogmas from “thin air” that are irrelevant and unconnected to the deposit of faith held in the womb of the Church. Therefore we can say that the pope cannot invent dogma but he certainly can define it. In the same way, a particular pope cannot reverse a formerly irreformable teaching. That is, two popes cannot infallibly issue conflicting doctrine or dogma. It is helpful here to give a basic definition of what dogma is. A dogma pertains to God’s divine revelation. For a particular element of the deposit of faith to be dogma, it must meet two main criteria: 1) it must be divinely revealed by God (and thus is an element of the deposit of faith) and 2) it must be formally defined by the Church as divinely revealed by God. There are many dogmas of the Church. The most well-known example is the dogma of the Holy Trinity that states there is one God who is three Divine Persons: The Father, the Son, and the Holy Spirit. As has been said, very frequently people misunderstand papal infallibility. In order to clear away some of the fog, it’s helpful to note when the pope lacks infallibility, which is actually most of the time! In other words, there are many, many occasions when the pope can be fallible and could err in his statements. For example, in his encyclical letter Laudato Si’ (see No 23 ff) Pope Francis gave his opinion in the form of teaching on some of the scientifically determined possible causes of global warming. Although the faithful should respectfully listen to his words and give them due consideration, Pope Francis’ teaching on such a matter is not infallible. The Pope could be wrong in his conclusions. 1. Scientific evidence on the causes of global warming is not a matter of faith or morals. 2. The Pope did not intend to speak infallibly. That is, even if the Pope speaks on doctrinal matters, if he does not intend to issue an infallible decree, then his teaching does not rise to the level of infallibility. 3. The Pope cannot issue teaching on scientific theories as binding on the entire Church. Let’s look at a few more terms and definitions that apply to papal authority. The ordinary magisterium of the pope is exercised in his day-to-day teaching on faith and morals that does not rise to the claim of infallibility, such as encyclicals or ordinary public statements or comments. For example, if the pope simply comments or teaches on the use of contraceptives, that teaching would not rise to the level of infallibility. Again using the example of contraceptives, if the pope teaches authentically on some aspect of their use and does not intend to make an infallible pronouncement, does that mean it is morally permissible for the faithful to disregard his teaching or remain indifferent to it? Can they legitimately “appeal” to their conscience and go ahead and use contraceptives in opposition to this teaching? Nope. 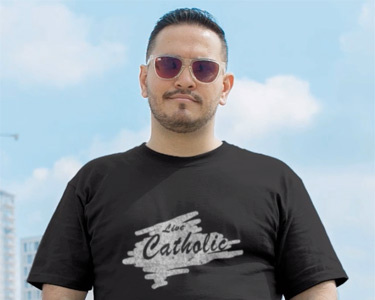 Obviously, there are Catholics and other Christians who reject the Church’s teaching on contraceptives; however, those who do so deliberately and with knowledge will be culpable before God for their choice. It is a matter of the ordinary magisterium of the Church that the use of contraceptives in marriage to deliberately render the conjugal act incapable of procreation is an intrinsic evil—it is always wrong, regardless of circumstances or intentions. This moral teaching is infallible and irreformable; namely, it is free from error and cannot be reversed. When the pope teaches on this moral issue, he is articulating an infallible moral doctrine to be held by all the faithful that is part of the constant moral teaching and belief of the Church. Although this is a different exercise of his authority than formally issuing an infallible decree, it nevertheless is an act of communicating irreformable truth without error. An Ex Cathedra pronouncement is an example of the use of the extraordinary papal magisterium and refers to when the pope speaks from the Chair of Peter using his full apostolic authority in application to some teaching on faith and morals. It becomes infallible when, by a definitive act, he decrees some aspect of faith and morals as binding on all the faithful. The pope as supreme leader of the Church and Vicar of Christ has considerable power and authority over both clergy and laity alike. However, it is rare for a pope to exercise his authority in a way that rises to the level of infallibility according to the standards set forth by the Vatican Councils. We should not think that every idea, statement or comment from the lips of a pope is issued as a directive from the Holy Spirit. The popes can err in particular circumstances, with the exception of when the doctrine of infallibility applies—something which is rarely invoked. The Magisterium of the bishops and of the Pope stand under the Word of God in Holy Scripture and Tradition and serves Him [Christ]. It is not at all Catholic to say that the Pope as an individual person receives directly from the Holy Spirit the Revelation and that he may now interpret it according to his own whims while all the rest are to follow him blindly and mutely. Photo Attribution: By Christoph Wagener (Own work) [GFDL (http://www.gnu.org/copyleft/fdl.html) or CC BY-SA 3.0 (http://creativecommons.org/licenses/by-sa/3.0)], via Wikimedia Commons. Post updated on 23 Nov. 2018 to include above quote from Cardinal Müller.